Islamic Arts Society aims to share the rich heritage of arts in Islam. The society organizes events to celebrate our culture and promote the positive image of our community among Muslims and non-Muslims. Art is a common language and binds diverse communities. By promoting Islamic arts we hope to promote mutual understanding and to bring the broader American community together. A fun filled, family oriented education day for introduction to Islamic Arts that is popular among children as well as adults. A weekend art class during the summer and spring break for the more serious learner who wants some hands on practice on learning Islamic arts. We teach painting, calligraphy, woodwork & ceramics. Our live art demonstrations bring color and creativity to your events. Our interactive sessions on Calligraphy, henna, Ebru & Live paintings are very popular and provide good source of entertainment and education. Islamic Arts Festival is the biggest of its kind in the Americas! See over 10,000 sq feet of a variety of Islamic Art. This year the Festival will also feature “Refugee Art” from overseas and locally. The two day Islamic Arts Festival is the largest and oldest festival of its kind in North America and attracts over 5000 people each year. The art show will feature the art of over 40 artists. In addition there will be live interactive sessions on calligraphy, henna tattoo, Ebru, painting, Arabesque pattern coloring and lots of children’s activities. Have a fun day with the family with kids activities, halal food trucks and great art. The festival will be held at Masjid AlSalam, 16700 Old Louetta Road, Spring, TX 77379. The event is free and everyone is welcome for this fun filled family oriented event! Want to help Build Bridges through Arts? Bring the “Islamic Arts 101 Program” to your child’s school. * A brief introduction to Islamic Arts. * A focused art class tailored to the age group. * A workshop to teach calligraphy, henna, ebru, geometric art or arabesque. A one-hour reception/ mingle to introduce visitors about Islamic arts. A hands-on workshop for calligraphy, henna, ebru, geometric art or arabesque. An international bazaar, performances, arts and crafts, fusion cuisine, and live demonstrations await at Asia Society Texas Center’s annual festival. Sat 11 May 2019. 11 a.m. – 5 p.m.
IAS takes part in the first ever Eid Festival at the Asia Society, Houston. The festival celebrates the Muslim holy day of Eid. Saturday June 9th, 2019 12-4 p.m.
Islamic Arts Society has been building bridges between diverse communities for several years and is the premier and trendsetting Islamic arts organization is the USA. IAS now in collaboration with IRUSA is bringing a unique event to Houston, benefiting the millions of orphans around the world. This was our 1st ever Art Gala: Benefiting Orphans Around the World. Visitors enjoyed great entertainment, delicious food and mocktails, and of course, beautiful pieces of art spanning various mediums which were auctioned to raise funds for the orphans. 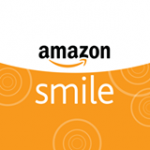 Support Islamic Arts Society by shopping at AmazonSmile. PLEASE HELP IAS BUILD BRIDES THROUGH ART! When you shop at AmazonSmile, Amazon will donate to Islamic Arts Society. Support us every time you shop. Can you please spare a moment and HELP Islamic Arts Society spread the beauty of Islamic Arts?